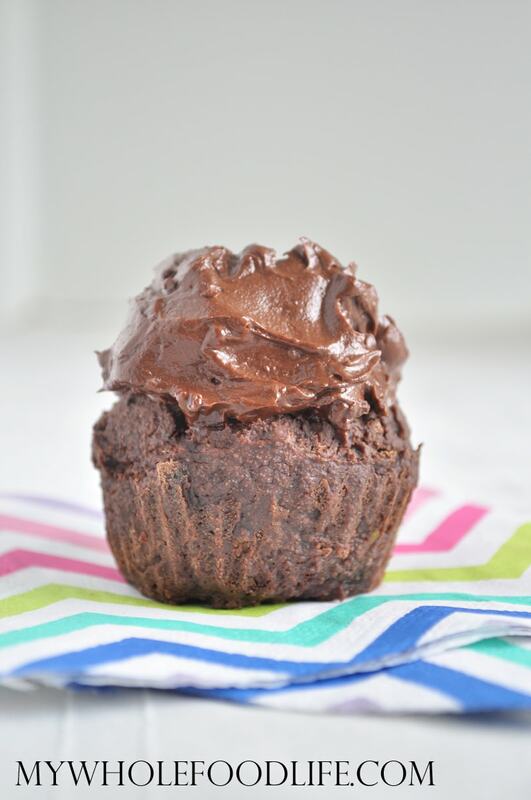 Chocolate Avocado Cupcakes. I was on Facebook the other day and I came upon this recipe. I really liked the idea of using avocado in desserts. I have had success using it in my flourless brownie bites and my chocolate chip avocado cookies. So I thought I would attempt cupcakes. The orginal recipe had way to much sugar and it was also not gluten free. 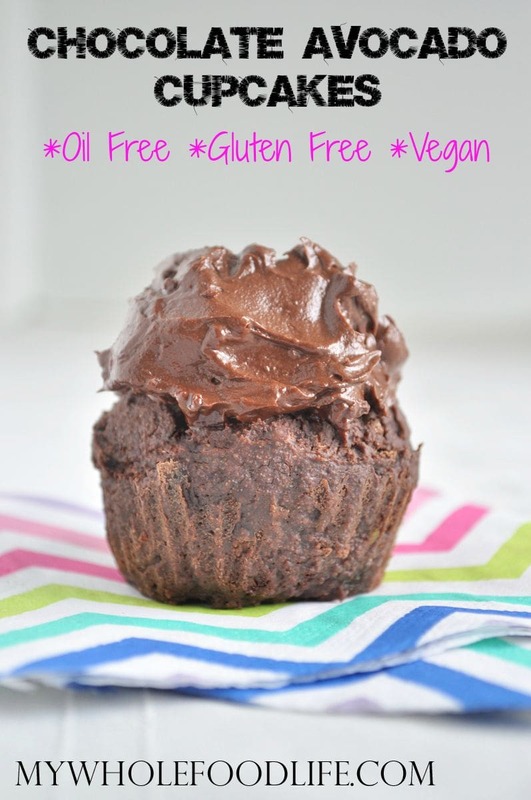 I came up with a version that has less sugar, is oil free and is gluten free. It’s also vegan of course! These cupcakes are super rich! You would never guess they were made healthier. 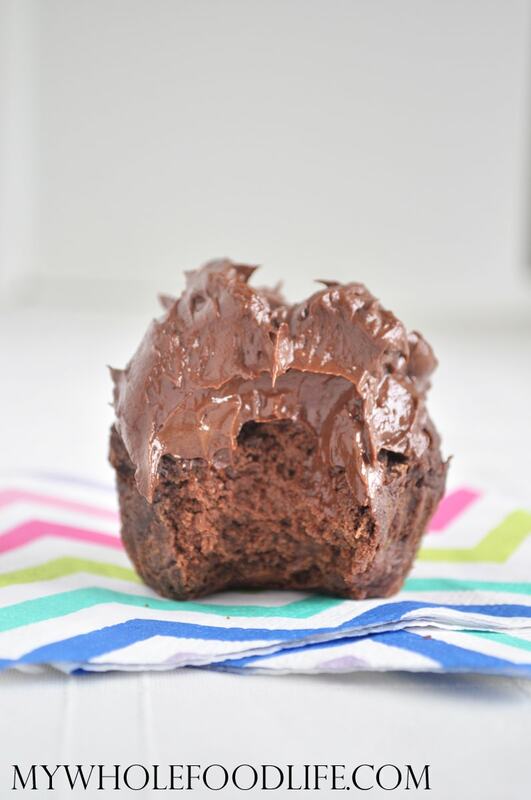 Super rich double chocolate cupcakes. In a medium sized bowl , add all the flour, cocoa powder, baking powder and sea salt. In a blender , add the avocado, maple syrup, applesauce and vanilla extract. Blend until it's smooth. You don't want avocado chunks in this. Once it's smooth add in the remaining ingredients and blend until smooth. You will have to scrape down the sides a few times. Spoon batter into lined muffin cups . For the frosting, mix all the ingredients in a food processor and blend until smooth. Wait until the cupcakes have cooled completely before frosting them. Keep these cupcakes stored in the fridge. Just wanted to say these were amazing. I read a couple negative reviews but thought I was going to give them a chance as this recipe as been sitting in my inbox for the last couple years. Either I was going to pin them or just delete it out of my inbox. They turned out fantastic! I ended up making my own oat flour that I made in my food processor, real eggs instead of flax eggs, and a banana instead of the applesauce. I added one date in there as I was worried it wouldn’t be sweet enough due to previous comments, but I think it would have been just fine without that. Thanks for the great recipe! Hello, thank you for this recipe. Could I use a banana in place of maple syrup? Hello, I'm sorry if you have already answered my question. Can I substitute a banana for the maple syrup? Thank you for the recipe.